Do you really want to trust your gorgeous Porsche in the hands of an auto shop with a less-than-stellar reputation? Of course not. The best bet for auto maintenance and repair work on any kind of luxury model is with the service center at our Thousand Oaks, CA Porsche dealer serving Los Angeles and Malibu, where our technicians are specially trained and certified to handle work on all kinds of 911, Cayenne and Panamera models. Keeping your Porsche in its best shape is the surest way of enjoying each and every moment in it. Any kind of Porsche, whether it's a brand-new 2018 edition or an older classic, is a unique beast. The level of high-end engineering and design work that goes into these luxury cars means you need comparable expertise for its care and maintenance. Beyond that level of confidence our customers from Oxnard and Calabasas have in our technicians, we offer some great service specials to keep the costs down for each visit. 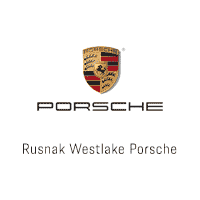 Learn more about our repair and maintenance offerings at Rusnak/Westlake Porsche by visiting us today.